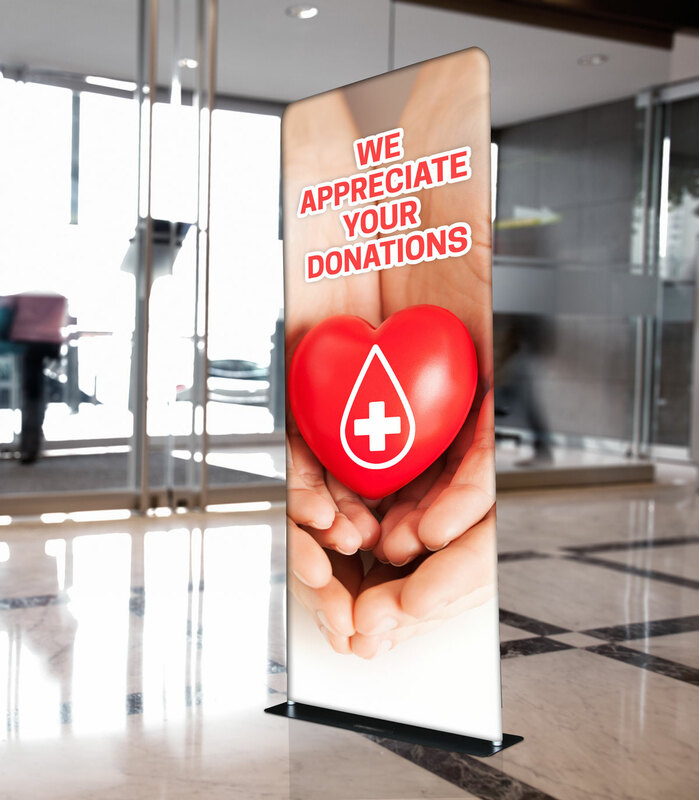 Fabric Tube Displays are the ideal signage for any trade show, meeting or networking function. 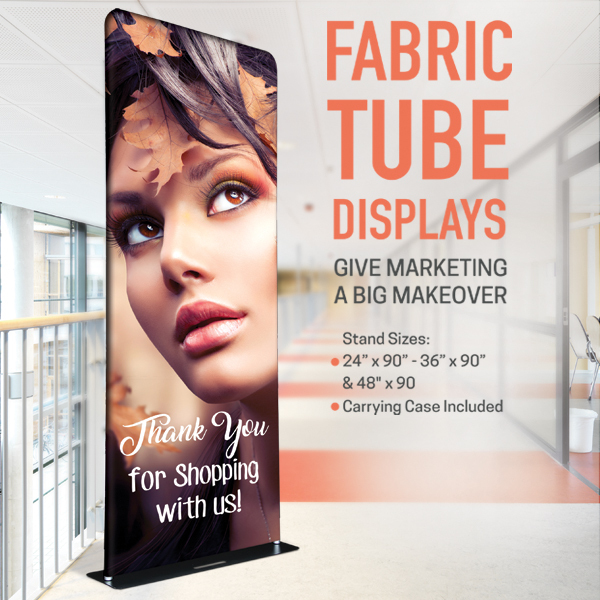 Fabric Tube Displays feature high quality graphics printed individually using dye sublimation on 9oz Premium Polyester fabric. 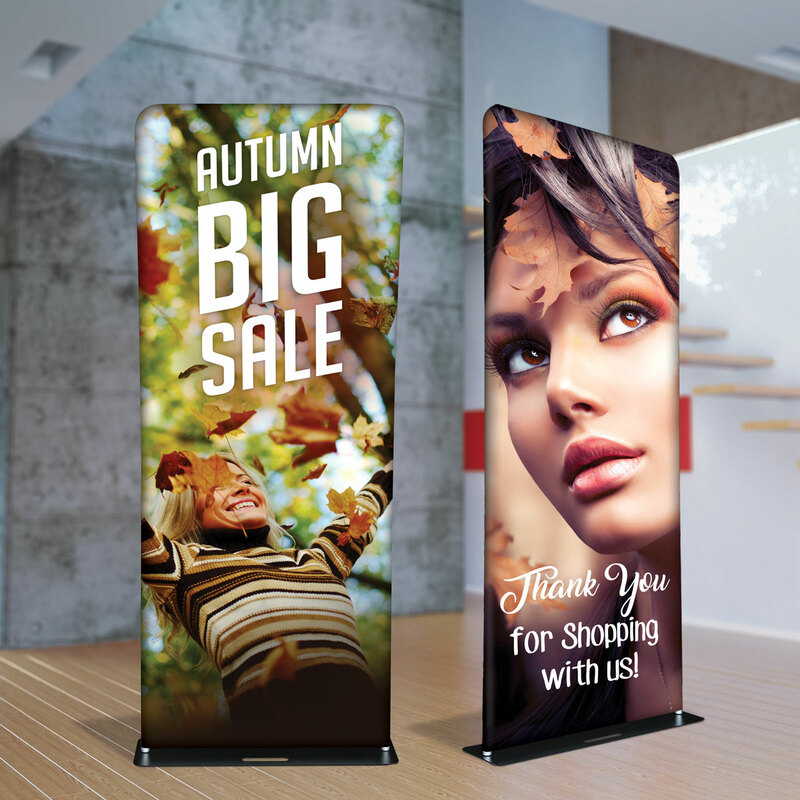 They are sewn together to create a double sided display that cannot be missed. 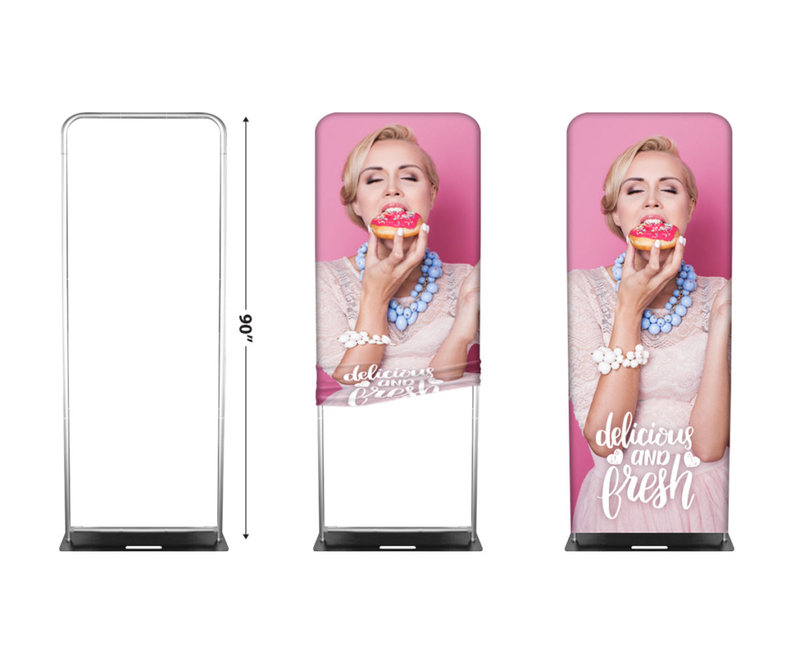 Connect and fasten the stand’s poles together by pushing down on the locking mechanism. Once the poles are connected and the locking mechanism pops out, the poles are secure. Screw the ends of the poles into the stand’s base to ensure stability. 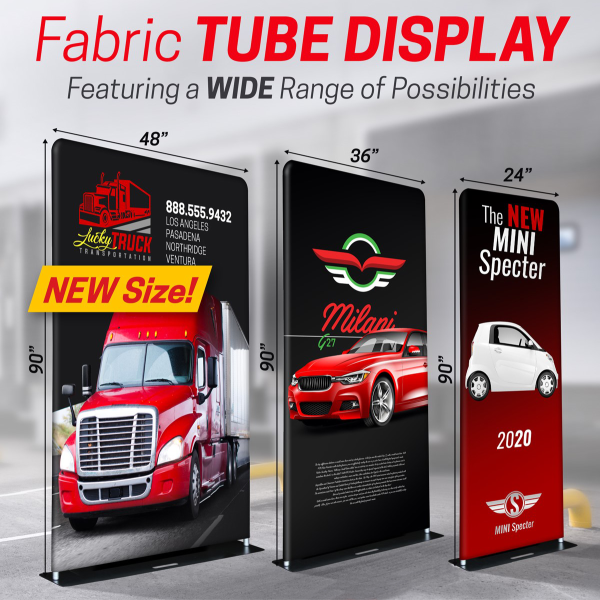 Slip the fabric over the frame to complete the display. 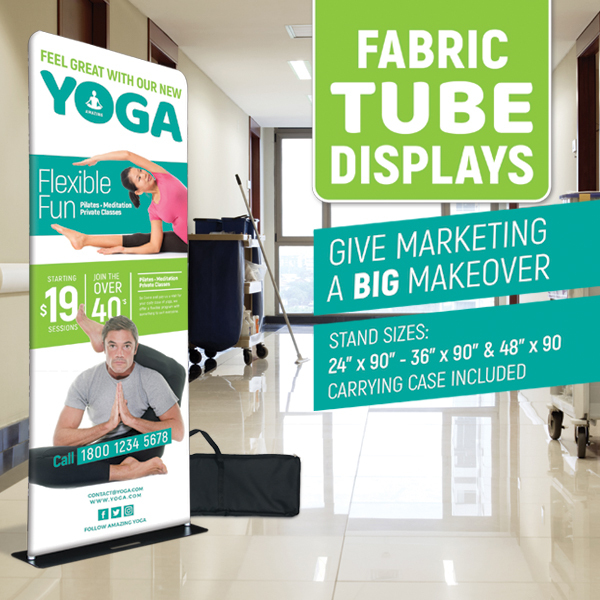 Fabric Tube Displays come equipped with a portable carrying case to store the stand’s parts and make travel and setup a breeze.